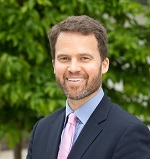 Matthew S. Erie is an Associate Professor of Modern Chinese Studies and Associate Research Fellow of the Socio-Legal Studies Centre at the University of Oxford. Professor Erie’s interdisciplinary work stimulates conversations between law and anthropology to study the procedural aspects of domestic and cross-border commercial dispute resolution. In particular, he investigates the emergence and reconciliation of conflicts of law and normative pluralism in the course of increasing intersections of non-liberal values and Anglo-American common law. His current research, funded by a European Research Council Starting Grant, examines the changing landscape of international commercial dispute resolution against the backdrop of protectionist movements in the U.S., UK, and Europe and increasing Chinese outbound investment. One specific focus is “legal hubs,” sub-national jurisdictions that develop and implement their own procedural law for cross-border commercial dispute resolution. Legal hubs, including those in London, Singapore, Hong Kong and Dubai, invite re-evaluation and sharpening of the orthodox understanding of international private law, including, in particular, concepts such as governing law, jurisdiction and enforcement. His article “Anticorruption as Transnational Law: The Foreign Corrupt Practices Act, PRC Law, and Party Rules,” forthcoming in the American Journal of Comparative Law, marks an initial foray into this project. During his time at NYU Law School, Professor Erie will further develop the project into a law review article. His current project builds on his previous work on disputing and plural normative systems in China. His book China and Islam: The Prophet, the Party, and Law (Cambridge University Press, 2016), based on two years of ethnographic fieldwork in northwest China, is the first ethnography of Islamic law in China with a focus on the substantive and procedural conflicts between shari’a and Chinese state law. China and Islam earned a 2017 Asian Law and Society Association Distinguished Book Award Honorable Mention and was listed as one of the “Books of the Year 2017” by both the Times Literary Supplement and Times Higher Education. His articles on dispute resolution, property rights, and the legal profession have appeared in law reviews and peer-review journals including the Hong Kong Law Journal, Journal of Legal Education, Law and Social Inquiry, Islamic Law and Society, Journal of Law and Religion, and American Ethnologist. Professor Erie previously held academic positions at Princeton University, NYU Law School, and the Hagop Kevorkian Center for Near Eastern Studies at NYU, and was a visiting scholar at the National University Singapore Law Faculty. He practiced law in the New York and Beijing offices of Paul Hastings LLP where he focused on corporate real estate transactions and white-collar investigations (e.g., FCPA). He holds degrees from Cornell University (Ph.D., Anthropology), University of Pennsylvania (J.D. ), Tsinghua University Law School (LL.M. ), and Dartmouth College (B.A). Professor Erie is a member of the New York Bar, the American Society of International Law, the Law and Society Association, the Society of International Economic Law, and the Young International Council for Commercial Arbitration.